Life requires hard choices. We are focused on providing you with valued guidance and simple solutions. When it comes to personal finances, life is filled with stress, distraction and uncertainty. For many, this challenge is compounded by the complexity of tax laws and the confusion of financial and insurance products. 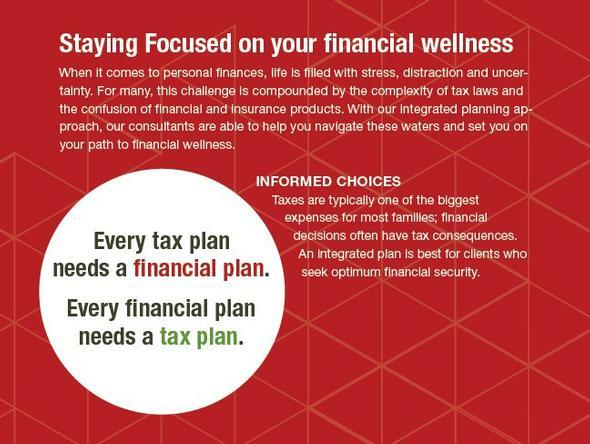 With our integrated planning approach, our consultants are able to help you navigate these waters and set you on your path to financial wellness.